What Do Reef Corals Require to Survive? All corals have four basic needs required to survive -- water quality, food, light, and water movement. In general, hard or SPS/LPS corals are not as flexible as their soft coral cousins, making Mushrooms, Zoanthids, Polyps and Leather Corals some of the favorites for both novice and experienced reef-keepers alike.However, there are a number of hard corals which are actually quite forgiving and seem to adapt well to marine aquarium life. Listed below are the 4 basic requirement categories of corals, each of which includes important points that pertain to them. However, keep in mind that corals can be finicky. Species within any given genus can have widely varied light, current, water quality, or other special needs, which makes it essential that any individual coral species be researched thoroughly before buying it. Trace Minerals & Elements in the right concentrations are essential for all corals to be able to perform the chemical reactions required to process food, grow and reproduce. Ammonia is the most commonly occurring toxin found in marine aquariums.and, even in only small concentrations is the cause of a number of maladies in both marine fish, invertebrates, and corals. While there will always be at least trace amounts of ammonia in an aquarium with fish present, the level should be near zero for the best outcome. Should be well below 10 ppm, but optimally as close to zero is best. Food for corals takes many forms. Corals need a lot more than light with the majority of their nutritional requirements being fulfilled by the contents of the "soup" they live in which contains everything -- the plankton as well as the dissolved organic compounds in the oceans. The amount and intensity of light required vary by quite a bit, depending on the coral species and, to a great degree, the depth it is found at in the wild. The deeper the water, the more light is filtered out before it reaches the coral. Corals which require a lot of light will not be found in the deeper waters outside the reef. As a general rule, hard (SPS and LPS) corals require more light than soft corals. 1.025 to 1.027 (specific gravity of natural sea water) is considered optimal. 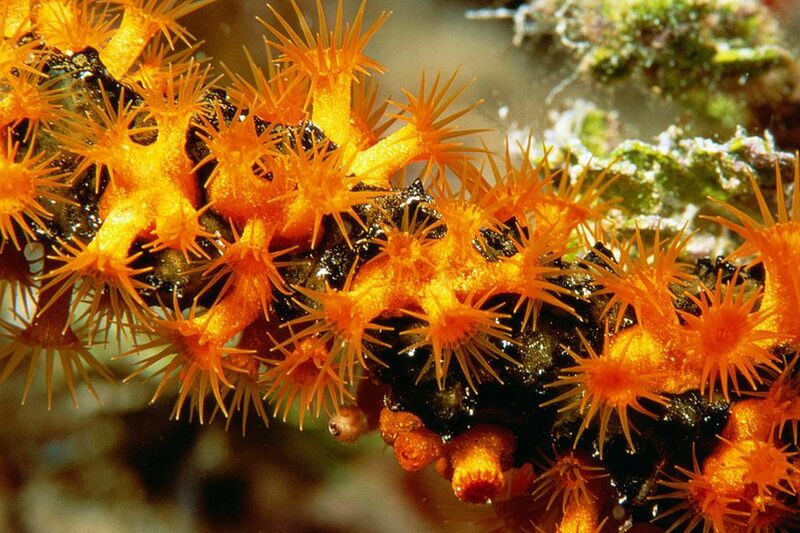 Requirements vary by coral species and plankton type (Phyto, Bacterio, Pseudo, Macro, Micro, Nano, and Pico). Although some corals derive nutrients from broken down organic matter suspended in the water column, DOCs should not be allowed to accumulate in excess, as this, in turn, leads to the build-up of nitrate in the aquarium. The use of a good quality protein skimmer helps to keep DOC levels down. Requirements vary by coral species. Soft corals generally require less light, while those hard corals that live by photosynthesis need more intense light. For stony photosynthetic species, the lack of adequate lighting, as well as other environmental factors can result in coral bleaching. Some corals require a water surge to flush debris from their surfaces. Care should be taken when mixing different corals in an aquarium. As an example: some corals do not "play well" with certain other coral types in a closed aquarium system. Many soft corals (i.e. Actinodiscus) should not be placed near most LPS/SPS corals, as they may have a detrimental effect on some hard corals. It cannot be overstressed -- do the research before buying anything! That said, refer to 10 Easy Corals for a list of both soft and hard species considered by many marine aquarists to be among the easiest to keep in a reef tank.